Welcome! 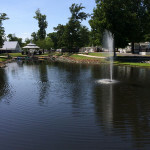 The biggest decision you now have to make is which exciting activity at our Virginia Campground you should do first. If you love the outdoors you’ll love Grey’s Point! Enjoy our huge water park with slides, multiple pools and the splash point kid’s area. 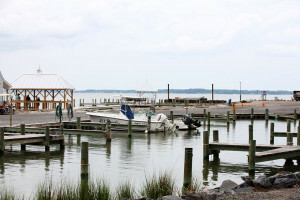 Bring your boat to our ramp and hit the Rappahannock River for some of the best fishing in Virginia. 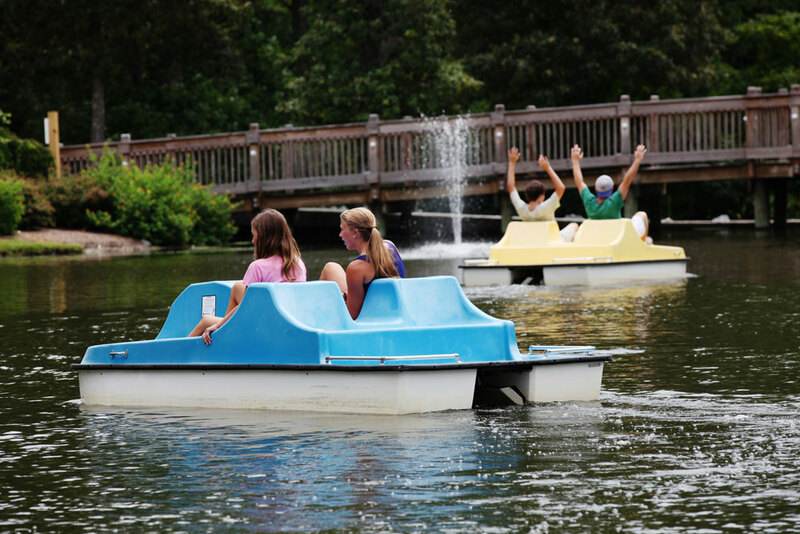 Hop in one of our paddle boats, kayaks or canoes and take in the scenery along the river. Or relax on our long sandy beach by the river! There’s something for everyone! Open through Labor Day and September 9-11 and 16-18! 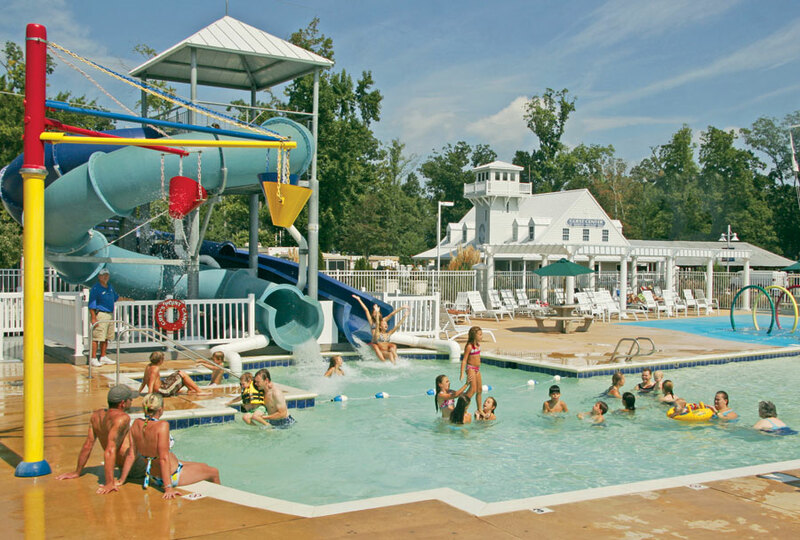 Our water park distinguishes us from other Virginia Campgrounds! 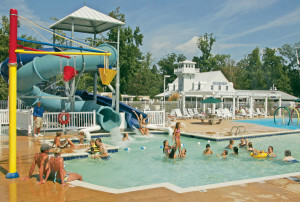 It is an oasis where you can cool off and have a blast with your family! The kids will love the splash zone equipped with water fun coming from every angle. The water slides will be a favorite for your family’s thrill seeker and the large pool areas are perfect for taking a refreshing swim. 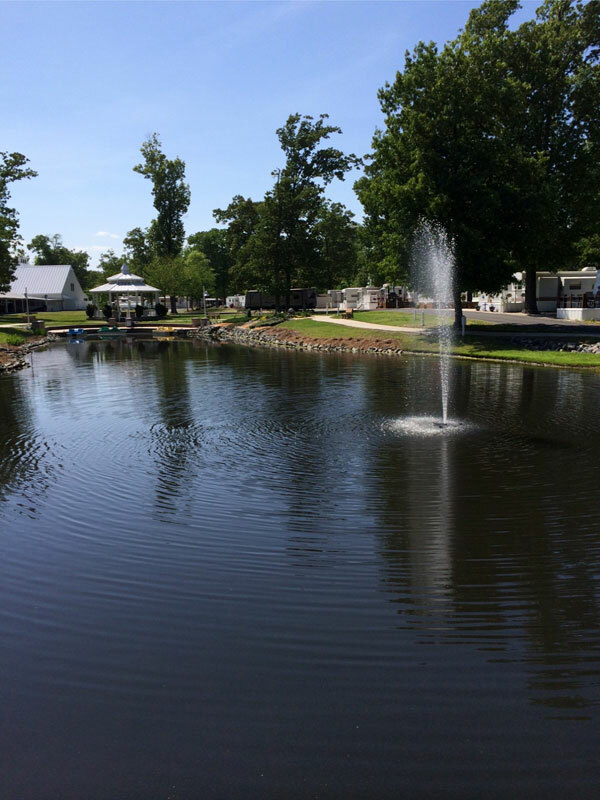 When it comes to fishing, Grey’s Point Camp puts you right in the middle of the action! 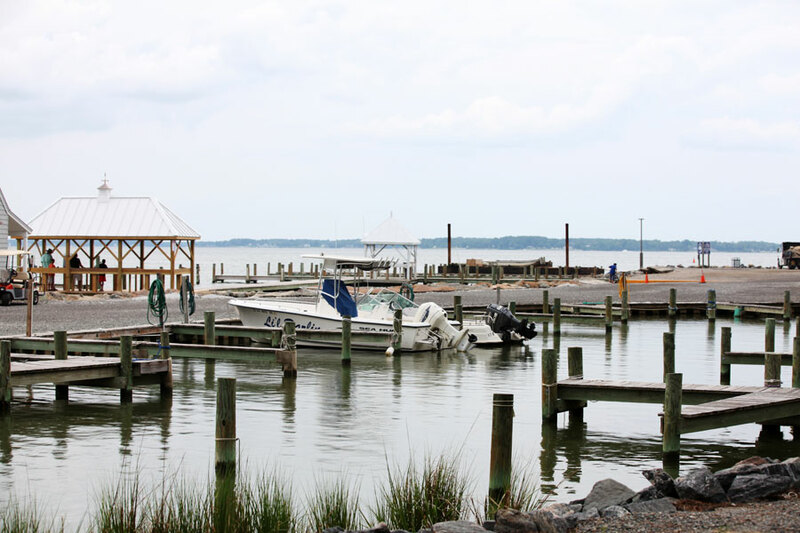 The Rappahannock River offers some of the best fishing around, plus you have easy access to prime locations in the Chesapeake Bay. 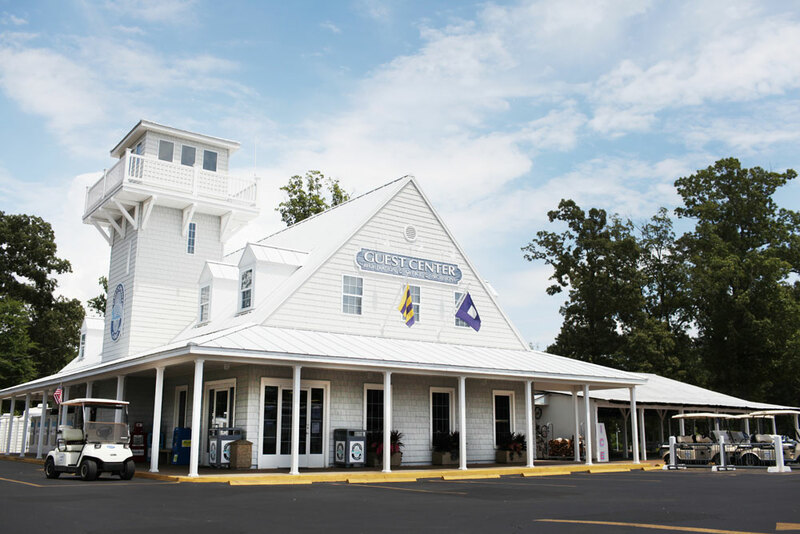 Our bait & tackle shop in the camp store can help you get rigged for any species of saltwater fish you want to go after. Everything from flounder, spot, croaker, rockfish, bluefish, cobia, tautog, spadefish and more! 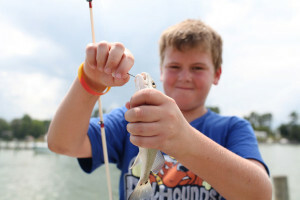 Grey’s Point Camp is one of the best Virginia Campgrounds to wet a hook! Learn more by visiting our Fishing page. Bring the kids to one of our two playgrounds where they’ll enjoy swings, slides and climbing! Grab a friend and start a game of corn hole in with our built in boards. 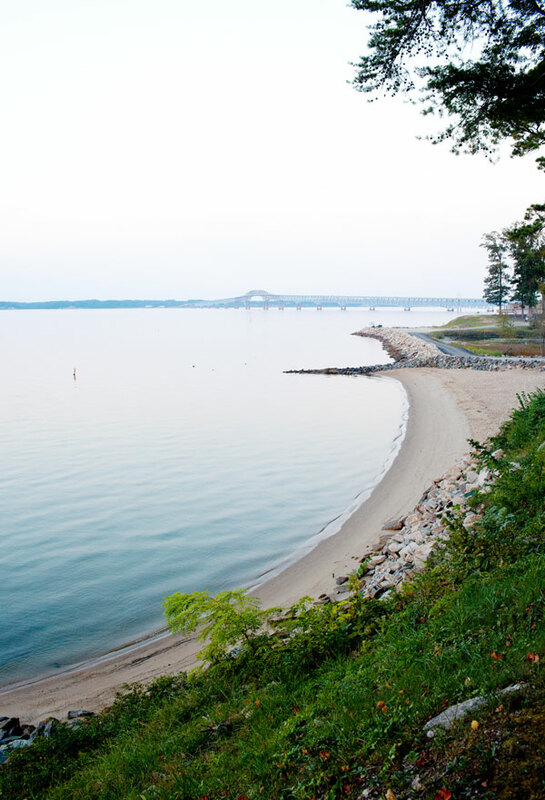 Head down to the sandy beach along the Rappahannock River. 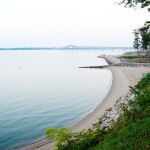 Build sandcastles, grab some sun and play in the calm waters of the river. It’s the perfect spot to relax on a warm summer day! Bring a picnic to the Sun Deck for a bird’s eye view of wildlife and sailboats in a beautiful setting. 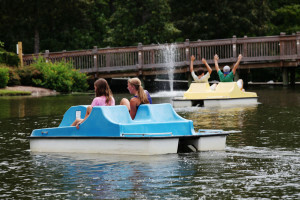 Head around the lake for our challenging exercise course with built-in equipment or take your best friend for a stroll! Visit our store for a wide variety of merchandise, RV supplies, fresh food, coffee, drinks and more! You can also pick up all the gear you’ll need to catch the big one down by the river. Grab one of our new bikes, canoes, kayaks or paddleboats and explore the outdoor beauty around Grey’s Point Camp! You can rent a golf cart too for easy transportation around the resort. 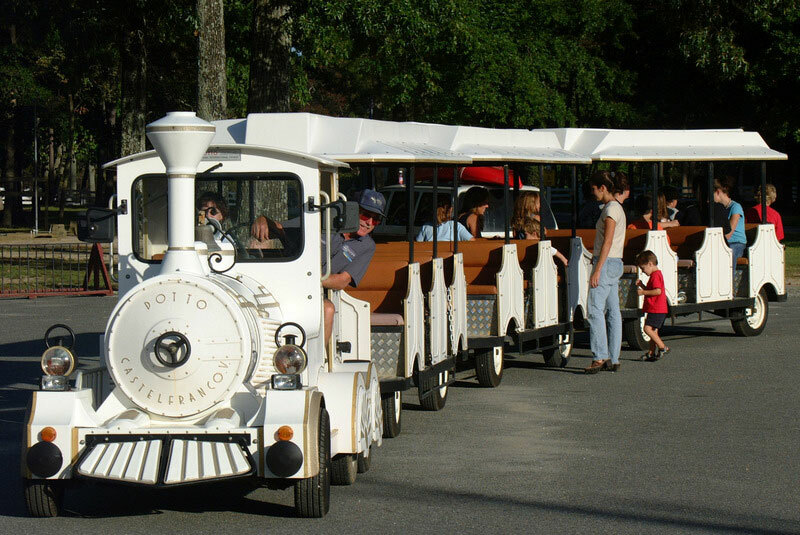 Hop aboard this old timey train for an exciting ride around Grey’s Point! 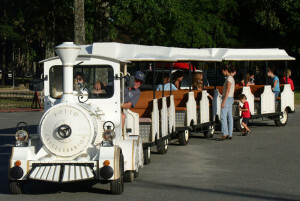 Rides are free to guests and depart a few times each week from the Camp Store. Check your Fun Times when you arrive for details! This is a guest favorite! **Please Note: For our Guests safety - Special height requirements apply to slide participation. Amenities operate on a varied schedule, please inquire at time of visit.